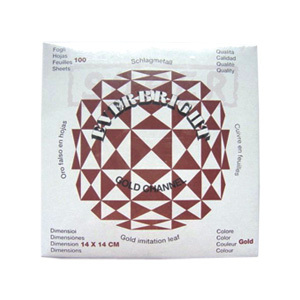 Everbright Imitation Metallic Leaf can be used for gilding and decorating craft projects. 100 sheet boxes. 140x140mm sheets. Interleaved.